Take a drive through many of South Florida’s most upscale neighborhoods and you’ll notice a change in how they look. Where there once was a sea of Mediterranean style mansions and condominiums, you’ll find a new aesthetic ” a clean, fresh modern style. This trend will come to define the region’s landscape, many in our real estate industry say. This isn’t your grandmother’s version of modern, designers are quick to emphasize. The architecture doesn’t look as if it was inspired by the space shuttle and the furniture isn’t stainless steel and PVC piping. South Florida’s current take on modern is defined by clean lines, bringing our picturesque outdoors inside, top-quality organic materials, and amenities that enhance quality of life within our immediate environments. Also driving the trend is South Florida’s growing place in the global community, encouraging architects from some of the most design-forward cities in the world to work here, says Daniel de la Vega, president of ONE Sotheby’s International Realty. 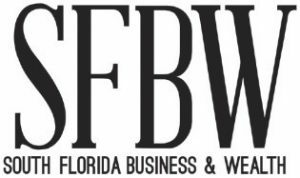 Architects, such as Alberto J. Comas, who designed an exemplary modern home being built at 38 Pelican Isle in Fort Lauderdale, knows what high end buyers are looking for,” says Michael F. Rizzo of Coldwell Bankers Previews International. Today’s sophisticated buyers expect their homes to come equipped with innovative and convenient amenities, such as the “smart house” concept, say Pinecrest-based realty agents Hilda Jacobson and Ysha Arteaga of Douglas Elliman. Desirable kitchens feature chef-quality gas appliances, wine storage and built in coffee machines. In both single-family homes and condos, there are often indoor and outdoor kitchens. In condos, oversized balconies facilitate exceptional outdoor entertaining. “While each of our clients has his or her personal tastes, most are looking for four main features in a home: an open layout, amazing water views, a top-of-the-line kitchen, and an incredible location,” said Jill Eber of Coldwell Banker Residential Real Estate’s The Jills. Buyers” desires have factored heavily in advancing the modern design and enhancement trend locally, as developers more often tailor their projects to meet their specific requests, says Patrick Campbell, vice president of The Related Group. This was a key in the company’s new project, Auberge Beach Residences and Spa, a 171-unit beachfront condominium in Fort Lauderdale that it is developing in partnership with Fortune International Group and The Fairwinds Group. Situated on the 4.6-acre site that is the former home of Ireland’s Inn Beach Resort, Auberge is to be the area’s only on-the-sand luxury residential project. Prices start at $1.8 million at the property, which is due for completion in October, 2017. 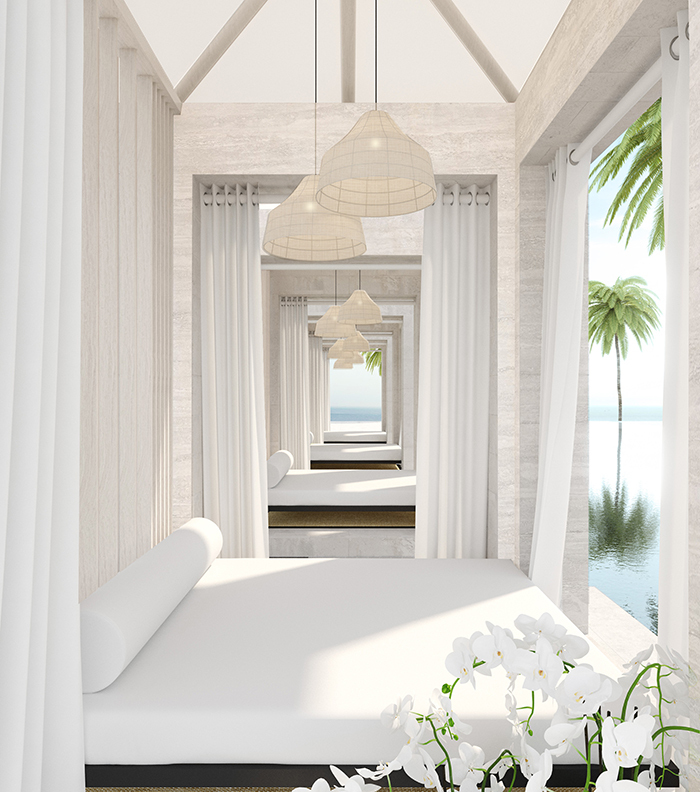 Its spa, restaurant and resort amenities will be overseen by Auberge Resorts Collection, a luxury hotel operator acclaimed for its resorts that embrace intimate, understated elegance. This understated elegance is at the heart of the modern style that is becoming a hallmark of design in South Florida, say Will Meyer and Gray Davis, of Meyer Davis, an award-winning New York-based interior design firm whose portfolio includes 1 Hotel & Homes South Beach, W Hotel Mexico City and Capri Hotel Southampton. The team is designing Auberge’s interior public spaces to reflect a relaxed, yet elegant, beach-chic vibe using rich, natural materials – making the most of natural light and stunning views. Views are also the jewel in the modern design crown at 1200 The Ocean in Hillsboro Mile. The 18 architecturally distinctive condominium homes and penthouse residences, designed by renowned South Florida architect Richard Jones, are priced from $895,000 to more than $2.35 million for direct oceanfront residences. Each unit features a sleek, contemporary design with clean lines and casual sophistication, which highlights the one-of-a-kind oceanfront setting. “We saw many modern design elements become popular throughout the “80s and 90’s, but they didn’t last” says Dan Kodsi, developer of Paramount Fort Lauderdale Beach, where units in the cutting edge beachfront building start at $1.2 million. “But this time, I think modern is here to stay.” ?